Northwest ENT and Allergy Center (Cartersville) - Book Appointment Online! Our providers, Drew Locandro, MD; Shatul Parikh, MD, Ryan Kauffman MD Avani Ingley MD; Marcelo Antunes, MD; Claudette Corey, NP; Jeff D'Ambrosio, PA-C, specialize in otolaryngology. We provide comprehensive, state-of-the-art care in the metro Atlanta area. Located in Marietta, we routinely evaluate and treat patients of all ages for a wide range of conditions involving the ear, nose, throat, head and neck. 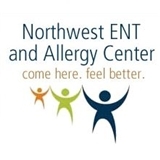 Northwest ENT and Allergy Center provides comprehensive care for your ENT needs. Our physicians specialize in both the medical and surgical care of all ENT related diseases. Their commitment to providing compassionate patient care and utilizing state-of-the-art treatments and procedures ensures effective relief of your symptoms. All physicians are board certified/eligible members of the American Academy of Otolaryngology- Head and Neck Surgery.